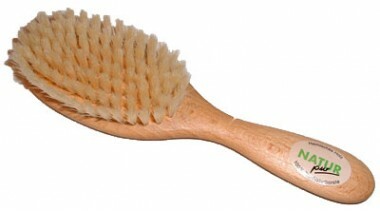 The children's brushes from Kostkamm are made of natural (okko) substances. They are produced to be very soft and caring on the scalp and childrens fine hair as a result of the fine bristles. The wooden part of the brusches are from Beech Wood.